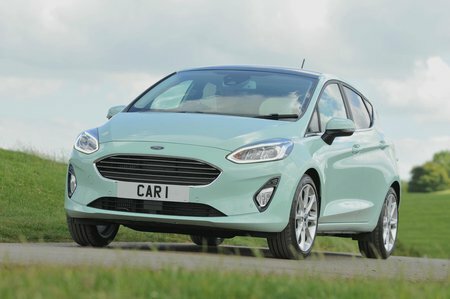 Ford Fiesta 1.0 EcoBoost Titanium 3dr Auto 2019 Review | What Car? What Car? will save you at least £1,414, but our approved dealers could save you even more. Titanium trim is worth a look, adding cruise control, power-folding door mirrors, keyless start, automatic lights and wipers and sat-nav to everything you get on Zetec. It is quite pricey, though.